Genuine Fender® 3 bolt neck micro tilt adjust mounting bolt. 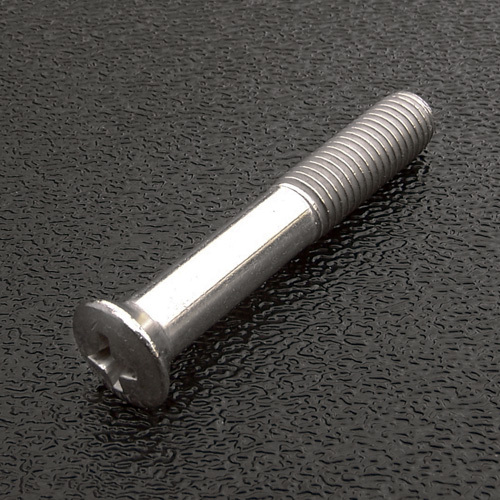 This bolt goes in the lower location in the '70s style 3-bolt neck plate. This bolt is the locking bolt to secure your neck angle adjustment once you have made your neck tilt angle change with the 972 set screw. This screw is not intended to be used as the adjustment for your neck angle.